What kids love most about the summer is the fact that they get to spend a lot of time outdoors. 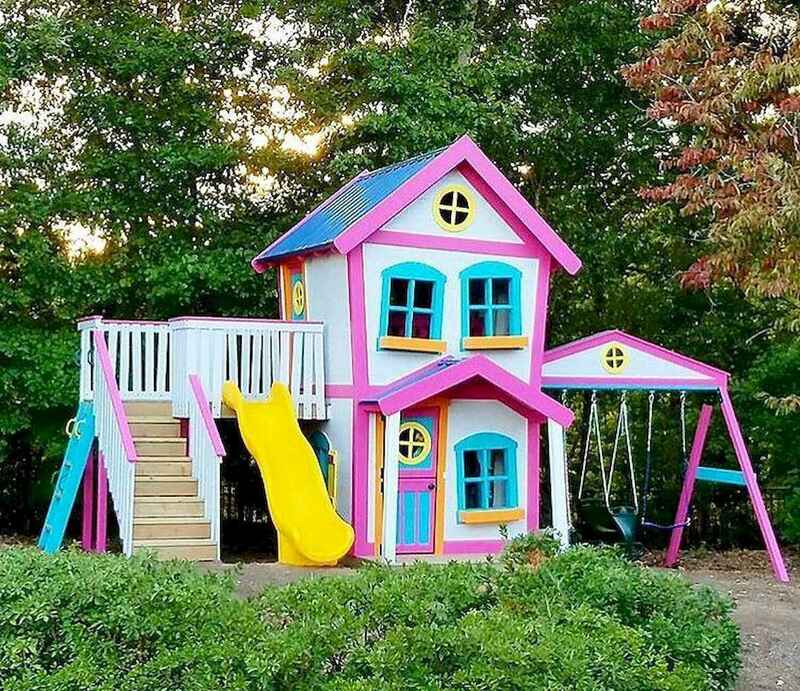 This provides you as parents with the perfect opportunity to get crafty and to turn the backyard into a fun playground. Not really a fan of kids drawing with chalk on the walkway? Then get them a chalkboard and this way there will be a designated space just for that. You can install it on the fence, in the backyard. This is usually the type of activity you enjoy on vacations which makes it a perfect summer projects. Kids will love it and their friends will too. A simple way of gaining popularity and having fun at the same time. Just make sure it’s safe. As a kid, a loved building tents under the table and hiding there. Kids would love the idea of having a tent too, especially if you install it outdoors. It would be like an adventure for them. As much as it’s fun to run around and play, sometimes you need to sit down and relax for a while. Hanging chairs have a way of making that fun too. Hang them in your backyard and the whole family can relax and enjoy precious moments. There are lots of great ideas you can try and make sure you also involve the kids into your projects.